Greece is expected to top the agenda at the next Eurogroup meeting on 14 May and the preparatory Euro Working Group that will precede it on 2 May. The meetings are set to discuss Athens’ request of an early repayment of its International Monetary Fund (IMF) bailout loans, worth over 3.5 billion euros. Reuters reported this week that the European Stability Mechanism (ESM) would have to be repaid the same amount, under Greece’s bailout terms, but is likely to waive this right. On Monday, Greek Prime Minister Alexis Tsipras heralded the early repayment of part of the IMF bailout loans to Greece. “It is a historic development. It sets a new framework for the Greek economy, because every economic indicator is performing”, he said, adding that Greek 10-year bond yields are at a historic low. 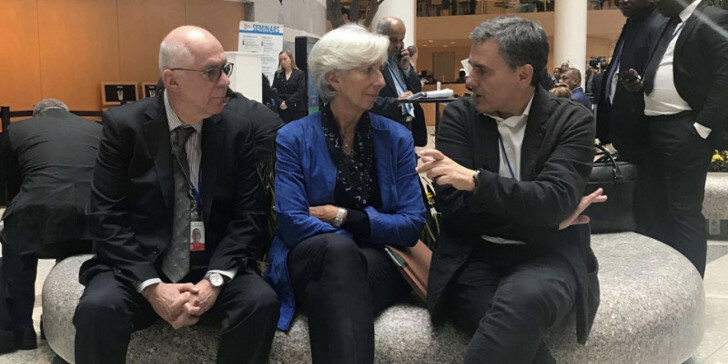 Last week, Finance Minister Euclid Tsakalotos met with the managing director of the International Monetary Fund, Christine Lagarde, to discuss what Athens describes as a “win-win repayment”. Such a partial repayment will ensure the Washington-based Fund continues in its post-bailout monitoring role, while Athens sends a message to bond markets and investors that servicing its sovereign debt will be cheaper. Greek bond yields neared a 14-year low on Tuesday, having dropped for thirteen straight trading sessions. Greece’s benchmark 10-year government bond yield dropped three basis points to 3.27 percent, its lowest since September 2005. Meanwhile, on 6 May representatives of Greece’s four international creditor institutions will arrive in the country’s capital to continue their third review of the economy. It is reportedly thought that the “quartet” have already reported delays in the privatization front and several areas where agreed post-bailout reforms need to be carried out swifter.